VLTC Hosts 1031 Exchanges Seminar - Valley Land Title Co.
Posted on at 05:13 PM. 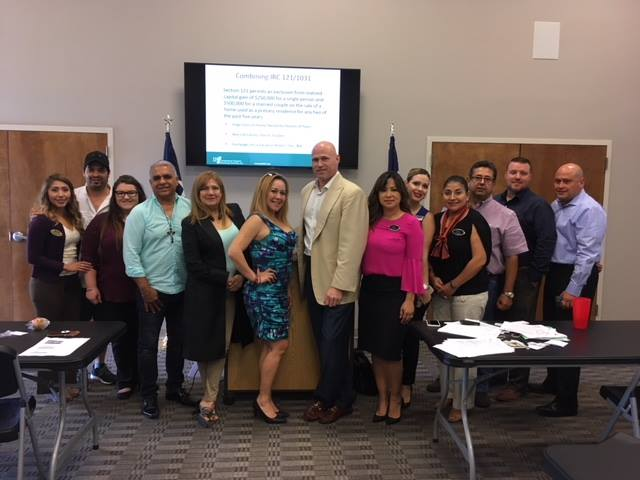 On Tuesday, September 25, 2018, Valley Land Title Co. hosted a 1031 Exchanges seminar for Realtors, Attorneys, and CPAs at the Greater McAllen Association of Realtors Office. VP of Investment Property Exchange Services, Inc. (IPX1031®) Carl Pikus presented a course for 1 hour CE Credit discussing topics such as types of 1031 exchanges, rules and timelines required for a successful exchange, potential short and long term tax benefits, and types of properties you can exchange – Carl’s extensive background in real estate financial planning enables him to strategically offer customized comprehensive 1031 solutions. VLTC will host additional events like this for CE credit in the coming future. © 2019 Valley Land Title Co. All Rights Reserved. Valley Land Title Co. makes no expressed or implied warranty respecting the information presented and assumes no responsibility for errors or omissions.